* Total number of reviews and star-ratings are based on data collected during the time period Oak Island Heating and Air Conditioning has been using the ReviewBuzz system and may not directly match the data found on each public review site. Replaced furnace and added air conditioning and filter. Gene and crew were wonderful as a team. System functioning as it should. Polite, professional and efficient. Job completed correctly and neat the first time. Polite, considerate, answered all our questions, job completed well. Would refer them to anyone seeking heating and air conditioner work!!! Delivered on time the install team was very efficient, polite and willing to help. Excellent service from Morgan yesterday. Very prompt courteous and thorough in maintenance of my AC and furnace. We purchased a new heating and air system through Oak Island. Jacob did an excellent job explaining everything and answering all of our questions. Gene was great with the installation and was very careful not to disturb anything in our house. A job well done on all counts...we are very happy customers! Great service from start to finish. Put in an excellent system and cleaned up after. Thank you Cris, Mark, Morgan and Brian. Highly recommend. 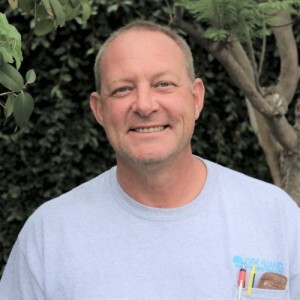 "Gene did a very professional job on installing our AC. He is a very informative and pleasant guy." Would highly recommend this family run company. They have done 3 great jobs for me over the years. I found Oak Island on Next Door. All my neighbors in Leucadia who’d hired them to install HVAC systems were raving about them. I just bought my house a few months ago. It was cold all winter, and it had no AC. When Oak Island’s owner. Chris, came out, he informed me that my 18 year old system was efficient for a 1500 square foot house. Mine is 2500. No wonder my kitchen, living and family rooms were so chilly! Roger and his crew were here a day and a half and did a wonderful job. They were quiet, respectful and did everything perfectly. My house is now toasty warm, and will be cool come August! I recommend them wholeheartedly. 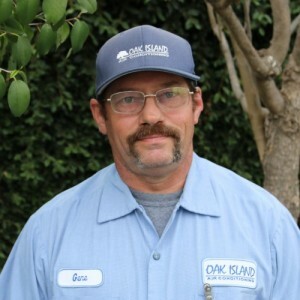 I contacted Oak Island Heating & Air Conditioning because of a recommendation from my neighbor. I had great experiences from the appointment call to the repair technician, Gene C. repairing the problem. Gene called & asked if he come earlier due to a change in his schedule - I so appreciated it because we had no heat and the weather was COLD!! He introduced himself at the door, put on his "booties" before entering, diagnosed & repaired the problem is a short timeframe. He was very professional, nice and helpful. I highly recommend Oak Island & ask for Gene!!!!! Great work by Gene Clark and CJ. Heating and air was installed quick and efficiently. I highly recommend this company everyone was a pleasure to work with. Gene was superb from the moment that he arrived. He outlined and re-confirmed the installation process step by step. He thoughtfully introduced his other team members, Mark and CJ. All three were personable, professional and polite men. I had one concern about SEER rating, and Gene efficiently handled my concern, never being impatient with my lack of knowledge. I really appreciated the way he handled my questions. Gene and his crew were also very clean and orderly as they performed the installation of my new HVAC system. I have already recommended Oak Island to my neighbors. Thank you for your fine service. Our experience with Oak Island was very positive from start to finish. Jacob Young was very helpful in assisting us with selecting a unit, and Cyrus Starr installed our unit in a professional manner. We would highly recommend Oak Island for their expertise and delivering results. We live in an older house that needed a new AC system and furnace, as well as new ductwork. The owner, Chris, came by to give us our estimate and was very personable and pragmatic about what system we should install. 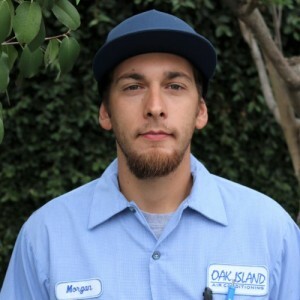 Morgan Sloan was the foreman who ran our installation - he was very knowledgeable and detail oriented. Great company to work with. The service technician, Brandon ********, that diagnosed my heater was very knowledgeable and efficient. He also took the time to educate me on the workings of the heating unit I had and it's faults that he found. He made the needed adjustments and recommendations quickly and efficiently. I feel confident that I made the right choose with this company. Gene did a great job. He was professional, timely and accommodating when I told him I had just put my infant daughter to sleep prior to his arrival. He quickly figured out the problem and did not try to upsell me. We have really enjoyed our experience with Oak Island thus far and will continue to utilize them as needed, as well as recommend them to friends. 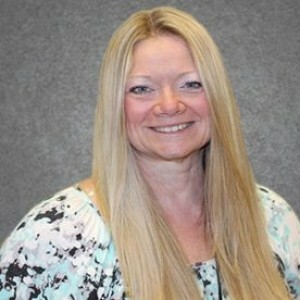 Field Technician was very knowledgeable and experienced. Found the trouble right away. Had the a/c working within 45 minutes. Did not have a filter of the right size. For the price I paid, thought he could've gone to home depot 4 blocks away and install a filter. Oak Island Heating AC Team . Customer service is always a top priority at Oak Island Heating and Air Conditioning. Our BBB Membership A+ rating is like a badge of honor as we continuously strive to provide the best experience for our clients.